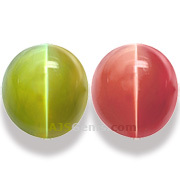 In the world of colored gems, many important gem deposits are small and production is short-lived. 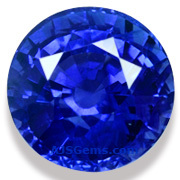 The legendary sapphires of Kashmir, for example, were first discovered in the Himalayas in 1880. But by 1887 the original mine was worked out, and repeated attempts failed to find any significant deposits in the entire Kashmir valley. Indeed in the gems world we've become resigned to the one time find of marvelous material: think of Mahenge spinel from Tanzania, mandarin garnet from Nigeria, and paraiba tourmaline from Brazil. Sapphire from Sri Lanka is the notable exception. It is remarkable that Sri Lanka is not only the most productive source for sapphire, but the sapphire mines there are among the oldest known in the world. According to historical accounts, Ceylon (as it was known prior to 1972) was already recognized for sapphire by the second century A.D. and there was an active international trade in Ceylon gems by the 4th and 5th centuries. Many of the most famous sapphires in the world come from Sri Lanka, including the Star of India (563 cts) and the Logan Sapphire (423 cts). The 12 carat blue sapphire in the Princess Diana engagement ring (now worn by the Duchess of Cambridge) is a Ceylon sapphire. The traditional center of sapphire mining is in southern Sri Lanka around Ratnapura ("City of Gems"), southeast of Colombo. 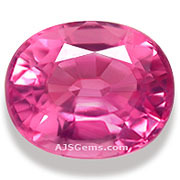 Though Sri Lanka is most famous for vivid royal blue sapphires, the full range of sapphire colors is found there, including pink, yellow, orange, green, colorless, violet and the rare pink-orange called padparadscha. 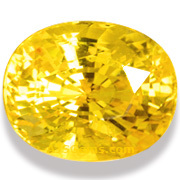 The yellow sapphires are sometimes found in large sizes (over 5 carats). 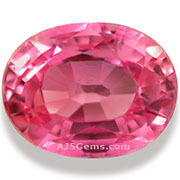 Pink sapphires are quite rare and are mainly found in smaller sizes (under 2 carats). Blue star sapphires from Ceylon have long been a favorite with collectors. Geologically, a significant proportion of Sri Lanka's landmass consists of gem-bearing crystalline Precambrian rock. Gems were first found in gravels in stream beds, but those easily accessible sites have all been exhausted. Today miners have to dig shafts up to 30 meters below the surface to find new desposits. But many areas believed to be good candidates for gem mining have yet to be explored. So we expect that Sri Lanka will continue to be an important producer. For some of our most recent acquistions in Ceylon sapphire, see this month's Notable Gems below. This month we feature new acquisitions, including a rare Alexandrite cat's eye, a 5 carat tsavorite garnet and 3 new Ceylon sapphires. A very rare Alexandrite Cat'e Eye with a strong color change and a very distinct cat's eye. Over 7 carats, this exceptional gem has been certified as natural and untreated Alexandrite by GemResearch Swisslab (GRS), with the color change noted as yellowish-green to red. A very rare gem in this size and quality. 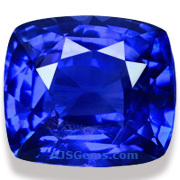 A gorgeous Ceylon sapphire in a big size ... and completely unheated! Rich royal blue color with excellent color consistency. This well-cut cushion just bursts with rich color from every angle. A very fine blue sapphire for that special piece of jewelry. Certified as natural and unheated by GemResearch Swisslab (GRS) with origin noted as Sri Lanka. A top unheated yellow sapphire from Ceylon. This superb gem has it all -- marvelous color saturation, excellent clarity and outstanding cutting -- and in a big size as well! 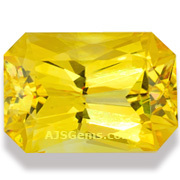 This is a yellow sapphire for the collector who wants the very best. Certified as natural and unheated by GemResearch Swisslab (GRS), with origin noted as Sri Lanka. A very high quality star ruby from Burma. 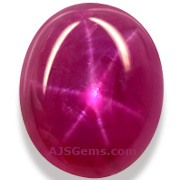 The body color is a pure crimson and the gem displays a level of translucency that is rarely seen in star ruby. It displays a clear and straight star under a focused light. A fine gem for the serious collector. 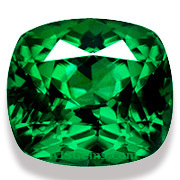 A top grade tsavorite in a rich velvety chrome green. Beautifully fashioned in an elegant cushion to display full brilliance and fire. This large tsavorite will make a stunning ring. A lovely royal blue star sapphire from Ceylon. 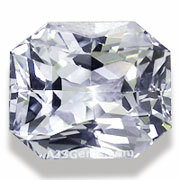 This rare gem is very clean and bright, with exceptional translucency. It displays a clear and straight star under a focused light. 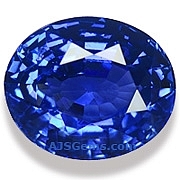 A classic example of Ceylon sapphire at its best. In a recent article in the Australian Gemmologist, Richard Hughes and researchers from GIT published their analysis of glass-filled sapphires that are entering the market from Chanthaburi in Thailand. Low grade corundum that is near-colorless and heavily fractured is filled with cobalt-colored glass, in effect dying them blue. The article warns that these glass-filled sapphires are unstable. After exposure to a jeweler's torch for one minute, the glass filler showed obvious signs of decay. The glass filler was easily damaged by exposure to sulfuric acid (which is used to clean jewelry before plating) and also by exposure to a strongly basic solution such as sodium hydroxide. Our recommendation is that consumers avoid all glass-filled corundum. Dealers know to keep a close eye on their stock at gem shows. But one unnamed Israeli diamond dealer took carelessness to new heights when he forgot a bag containing $32 million in rough diamonds at a cafe at the recent Hong Kong gem fair. A Chinese tourist from Shenzhen found the bag and waited 2 hours in the cafe for the owner to return. He got his diamonds back but reportedly had to endure a well-deserved lecture from the honest lady from Shenzhen. Topaz is a good hard material (8 on the Mohs scale) and its perfect basal cleavage is mainly an issue during cutting and setting. In fact topaz does not cleave or split nearly as easily as other gems with perfect cleavage like kunzite and fluorite. Usually cutters working on topaz will orient the table at some offset to the cleavage plane to make faceting and polishing easier. It would be very unusual for a topaz to cleave once set in jewelry. In fact diamond would be higher risk, since it has 4 cleavage planes compared to topaz's single plane. So you can set an imperial topaz in a ring with no worries.